San Juan Capistrano, CA, May 15, 2012—IQinVision (http://www.iqeye.com), market leader in high-performance HD megapixel IP cameras, today announced that the Plantation Lakes Homeowners’ Association (HOA), located in Olive Branch, MS, relies on a mix of IQeye HD megapixel cameras to enhance security at the 450-home development. Cyber Technology Security is the integrator for this on-going project. 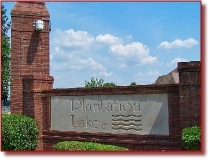 Plantation Lakes, like many communities, maintains a Neighborhood Watch committee. Given recent events in Florida, where a Neighborhood Watch member fatally shot a young man he suspected of trespassing, such incidents weigh heavily on the minds of the management for homeowners’ associations. “We might have a situation where they [Neighborhood Watch member] might feel they need to confront someone. Early on, we saw this could be dangerous,” explained Dial. Plantation Lakes stores their high-quality megapixel images for up to 30 days, so anytime an incident is reported, they have the footage on file to properly investigate and identify what people and/or vehicles entered and left the property during the period when the incident occurred. Future plans call for installing additional cameras at each entrance to extend the field of vision down each street and to capture vehicles from multiple angles. Also, the Homeowners’ Association will expand their live monitoring of camera views. Dial reports that local police are aware of the video surveillance program, and they have on occasion viewed some of the association’s footage. Dial has also observed that the surveillance footage helps to identify high traffic periods and times when certain traffic patterns develop, so they, in turn, can alert the authorities to potential problems. 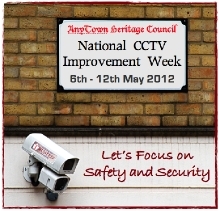 “This program and our use of IQeye megapixel technology puts us on the map compared with other communities not doing this. We’re not just keeping up with the Joneses, we are the Joneses,” Dial concluded.